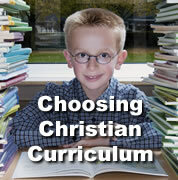 Here are some sources for Christian homeschool curriculum. We strongly encourage Believers to do private, biblical homeschooling using solid Christian resources -- and to avoid government homeschooling programs and humanist curriculum. Also see the links listed below. Please let us know of other local sources and links -- we are probably missing many. Note: This does not constitute an endorsement of the resources we list, nor are we implying that you need lots of fancy curriculum to succeed in homeschooling. Keep in mind that many of the "pioneer generation" of Christian homeschoolers (late 1970's and 1980's) had to make their own materials, as book publishers often would not sell to them -- yet they experienced tremendous success on a shoestring and making due with the very basics. Also, most of them were influenced by Dr. Raymond and Dorothy Moore's "better late than early" approach which emphasizes real life learning and waiting until the child is ready to learn certain skills, rather than forcing a child in front of textbooks all day and rushing academics. 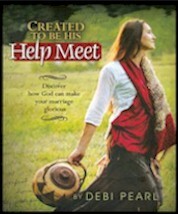 So while new homeschoolers often seek a "preschool curriculum," for example, this is puzzling to veteran homeschoolers. When you ask older homeschoolers what they did with their children for preschool, they will often answer something like, "We read the Bible, baked cookies, made playdough." If you are exploring homeschooling or just starting, it is totally expected that you will feel overwhelmed by curriculum choices. We have the opposite problem than the veteran homeschoolers faced -- there is now almost too much to choose from. But don't despair! Pray and trust that God will show you how to best homeschool the children He has entrusted to you. God makes every family different, so what works for another family may not work at all for yours. And what works for one child, may not work for their sibling. Homeschoolers get to avoid the one-size-fits-all curriculum of the public school, and instead can consider their children's God-given, unique interests and learning styles. Explore Christian curriculum whenever you can at conventions, ordering sample pages, examining something someone else is using, etc. Don't overly invest in a curriculum until you see if you like it. Remember that simple is usually better, and that some subjects are better learned in real life rather than just with a book. Get your husband's guidance. Sit down with him and find out what he, as the head of the home and homeschool, wants the children to learn. Establish the goals for your homeschool each year, and from there decide what areas of learning need what curriculum or hands-on learning experiences. The goals you and your husband (or you if you are a single parent) choose for your children will be different from another family's. Private biblical homeschoolers have the freedom to follow God's standards, and are not forced to adhere to the arbitrary humanist state standards that public school students and government homeschoolers must follow. If you need to know what skills a child should have at each grade level, an excellent resource is What Your Child Needs to Know When by Robin Sampson. We are reminded that the Word says in Matthew 6:33, "But seek ye first the kingdom of God, and his righteousness; and all these things shall be added unto you." Christian home education is all about raising your children in the Lord, giving them a solid Christ-centered education in a Godly, joy-filled home. We are blessed to have wonderful Christian curriculum to help us - just keep in mind that the Bible should be the central book of learning for all Christian children. In early America, many families had only a Bible and real life learning to educate their children with, and many of those children would far surpass the average American child today - in literacy and character. Home School Digest has really helpful, biblical "meaty" homeschool articles -- we highly recommend subscribing to it. Homeschool Legal Defense Association Bookstore is filled with books that encourage and inform. 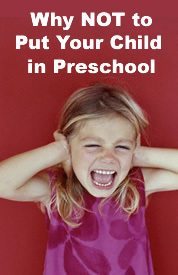 No Greater Joy Ministries is an excellent source of child training resources and advice.